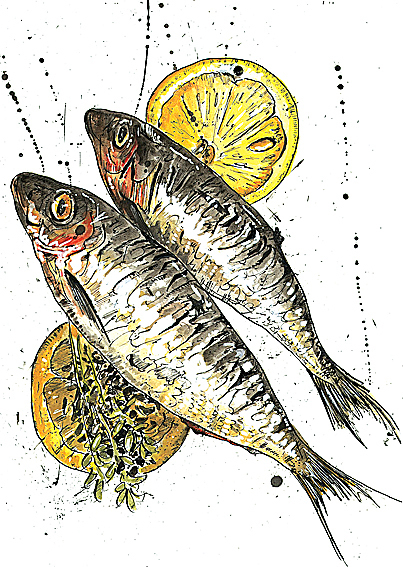 Graeme Bandeira’s work is best described as quirky. He is spontaneous and his general approach to illustration is to dip a mapping pen into a bottle of ink and let his imagination run riot! He says “I don’t concern myself with mistakes too much. If I draw a line that doesn’t conform to regularity then it’s best left in there. The same applies to spillages and splats of ink that just happen by accident. I think that is what gives my work its quirky element. Sometimes areas can looked over-worked but I like to delve into the finer details of the subject. I think it’s important when doing caricatures that you try to establish what the person is really about and hopefully the character will come to the fore through the line work”. In his own words, Graeme describes some of his favorite images. 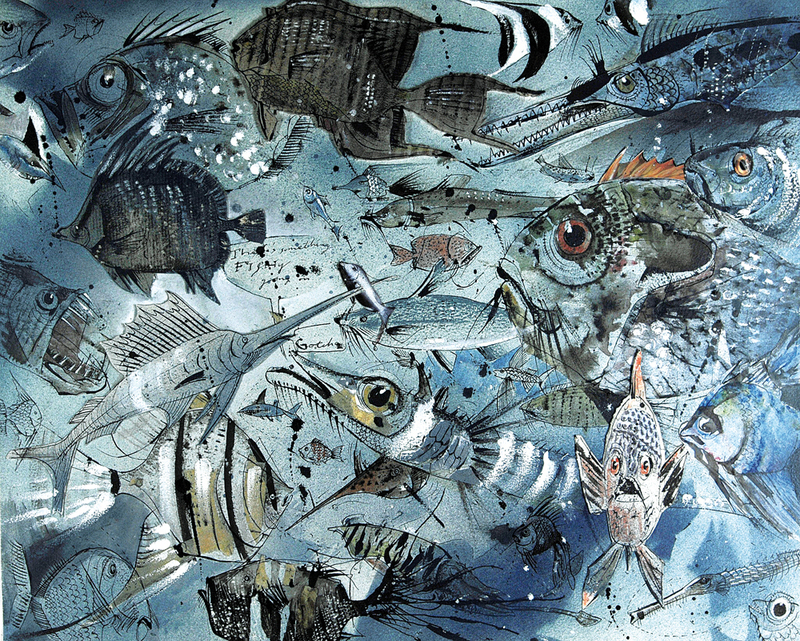 GB: I did the fish illustration when I was just starting out in 1997 and to this day it’s still one of my favourites. I’ve had good offers to part with it but it still remains close to my heart. It was an experimental piece that started out as a study about fish but then developed into a collage of materials and colour. 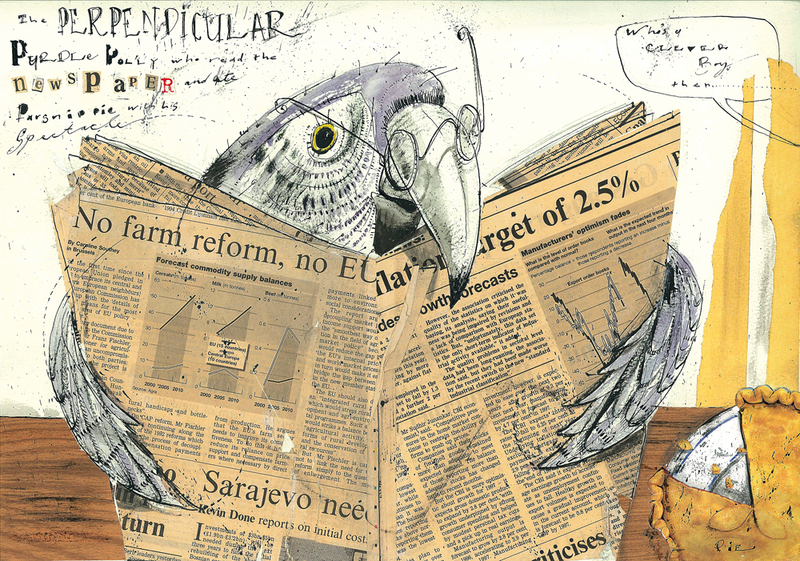 GB: This parrot illustration was a follow-up to the fish piece. I experimented again with collage and used real newspaper to emphasise the fact that the parrot is actually reading a paper. I did a series of these illustrations based on the poems of Edward Lear and this got me started on the editorial illustration highway…. 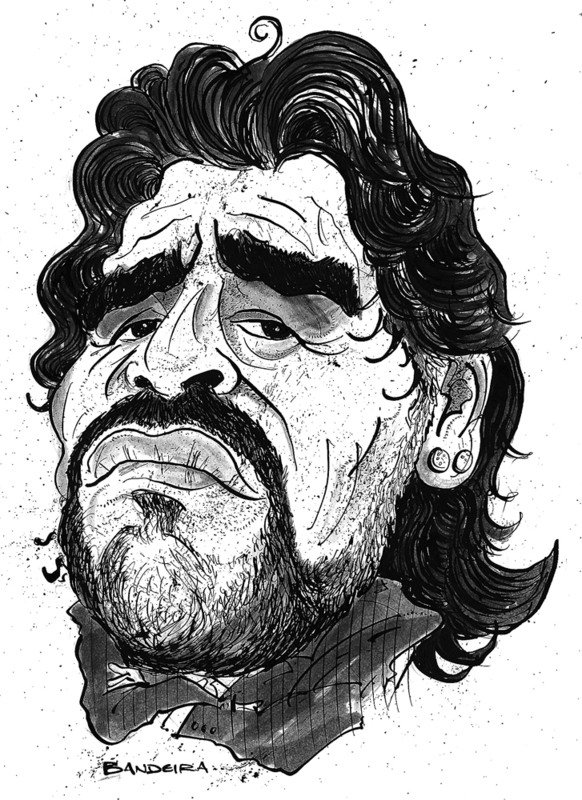 GB: Diego Maradona: A caricature of my favourite football player and currently part of an on-going theme. He posesses all the ingredients one needs to do a portrait full of character, charm and attitude. I think it helps sometimes if you are already familiar with the character. The style is relatively carefree which mirrors his personality. GB: Again, another spontaneous approach, this time depicting food. 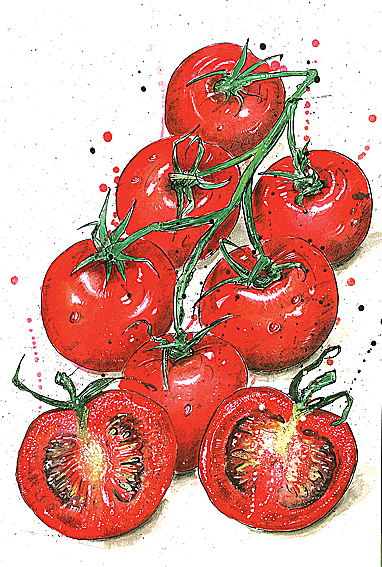 These illustrations were produced for cookery pages for the Yorkshire Post and the aim was to ensure they looked as fresh as possible! To see more of Graeme Bandeira’s work, go Altpick page, to purchase some of his fabulous prints and swag check out his Society6 page. This entry was posted in Altpick, Illustrations, Uncategorized and tagged football, Graeme Bandeira, soccer. Bookmark the permalink.